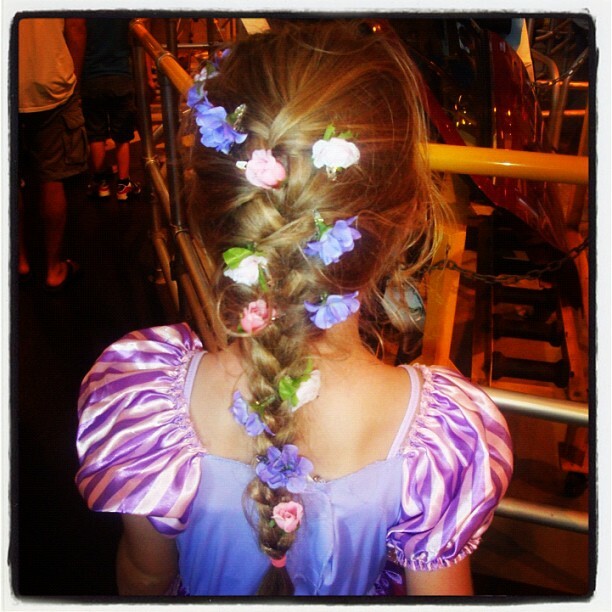 Today at Walt Disney World, Kate dressed up like Rapunzel from Tangled. Olivia went above and beyond to make sure her hair was just right. Home » Blog » Family » Disney World » Today at Walt Disney World, Kate dressed up like Rapunzel from Tangled. Olivia went above and beyond to make sure her hair was just right.